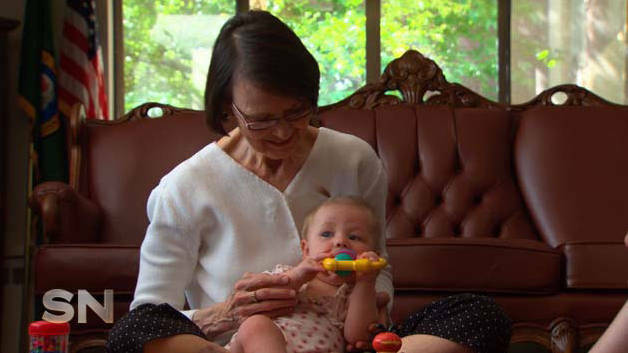 'Sunday Night', on Channel 7, visits a nursing home that has been combined with a childcare centre - It's an experiment that probably shouldn't work, but what happens when you put these two age groups together is very special. Denham Hitchcock will explore this inspiring place where those needing constant care - the very old and the very young - have come together with remarkable results. We wrote about this wonderful idea here, on the Josie's Juice sister site 'Our Sandwich Generation'. 'Sunday Night' screens at around 8pm on Sunday nights on Channel 7.